An emergency LED driver is backup power source which includes electronic circuitry to convert energy stored in a backup NiCd or NiMH battery into DC voltage and current to drive the LED load when AC power fails. The emergency driver works in conjunction with a switched or un-switched AC LED driver to provide code-required emergency lighting for both factory and field-install applications. Such a driver typically consists of a rechargeable battery pack, charger and electronic circuitry. The electronic circuitry is designed to sense an absence of AC power and automatically switch into emergency mode, in which the power is delivered through the battery pack, operating the LEDs to support emergency lighting operation for a minimum of 90 minutes. Upon restoration of AC power the emergency, the driver circuit will automatically detect the voltage level of the AC input (e.g. 100V through 277V) and switch the diver to the charging mode. To achieve optimal lifetime and reliability, it is critical that the charge and discharge cycle are properly managed and the temperature of control gear and batteries in the driver remains within its rating. An illuminated test switch (ITS) is provided to test and monitor charger and batter performance. Some emergency drivers support dimming functionality for flexible lighting control. 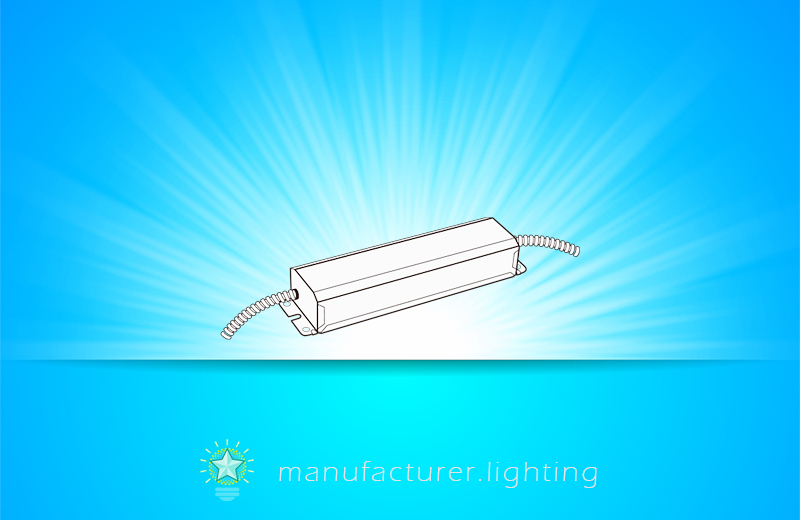 An emergency lighting inverter is a DC to AC converting circuit typically used in providing emergency power supply for multiple integral-base LED lamps, such as screw-in (Edison base) LED bulbs or LED tubes with an integrated/internal AC driver.